Recently, the latest version of CentOS 7.3 was released. All users of CentOS 7.0, 7.1 and 7.2 can upgrade their system to the most recent. In July 2014, a welcome version of CentOS 7 which tagged as 1406 (CentOS 7.0) officially released. As of end-March 2015, the second CentOS 7 release tagged as 1503 (CentOS 7.1) is available for download and CentOS 7.2 that was tagged as 1511 was released on 14 December 2015. As of end-March 2015, the second CentOS 7 release tagged as 1503 (CentOS 7.1) is available for download and CentOS 7.2 that was tagged as 1511 was released on 14 December 2015. 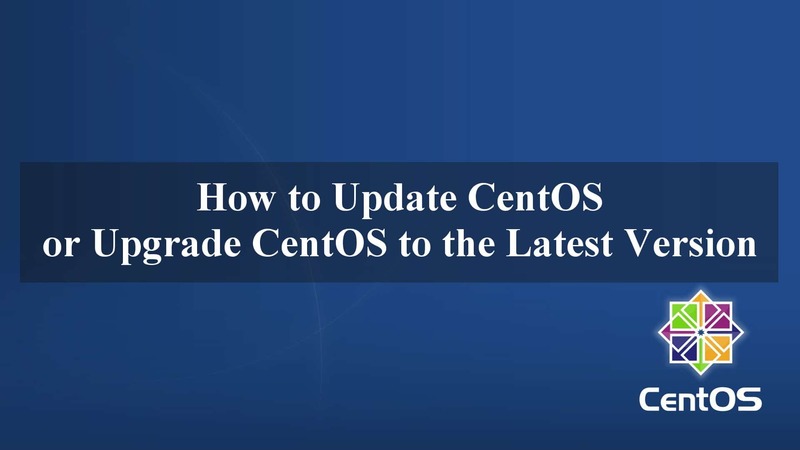 The latest release supersedes all previously released content for CentOS 7, therefore it is recommended for all users to upgrade their CentOS machines. This article will list the URL to download CentOS 7 ISO images. 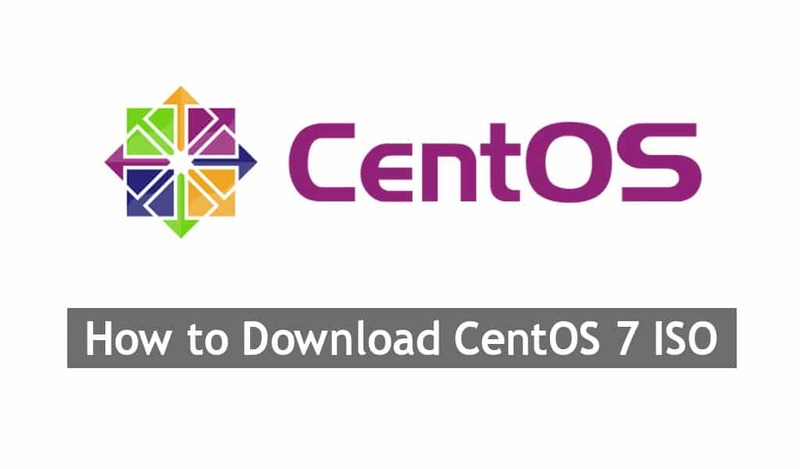 For those who do not want to perform fresh install of CentOS 7 on the existing machine, you also can get CentOS 7 running by following the upgrade path from CentOS-6 to CentOS-7. But this path is only supported from the latest version of CentOS-6 (being 6.7 at the time of writing) to the latest version of CentOS-7. The following alternate mirrors should also have the ISO images available. Major rebases for the following: Gnome from 3.8 to 3.14, KDE from 4.3 to 4.14, Xorg-X11-Server from 1.15 to 1.17, libreoffice from 4.2.8 to 4.3.7. openldap from 2.4.39 to 2.4.40 and more. I hope this article gives you some ideas and quick guide on where you can download CentOS 7 ISO. Vsftpd stands for Very Secure FTP Daemon. Vsftpd is not just another popular Unix / Linux FTP Server, but vsftpd delivering outstanding performance by taking less memory. It is running under xinetd and allows you run one process less because xinetd is shared among various other small services. For those webmasters or blogger who intend to run web server on Virtual Private Server (VPS) or Dedicated Server, Vsftpd would be the best choice. It is easy to install and can perform all that we expect from an FTP daemon while maintaining a higher level of security if configured properly. This article focuses on and covers the installation and configuration of the FTP server Vsftpd on CentOS Linux VPS. ftpd_banner=Welcome to Linux FTP service. b) This step is to configure not allowed users. By default root account is not allowed to login the vsftpd server as it’s existed on /etc/vsftpd/ftpusers. To allow it, open /etc/vsftpd/ftpusers files and remove or comment on the line of a user “root”. Users whose name are set in this file will not allow to login from ftp. 220 Welcome to Linux CentOS FTP service. If you encounter any issues when setting up linux ftp server, you can put a few questions in the comments below. Old method to change the runlevel via /etc/inittab in Redhat Enterprise Linux version and CentOS server has become obsolete on RHEL 7 and CentOS 7. This latest Linux operating system uses systemd system management daemon and relies on systemctl command in order to change the runlevel. RunLevel is set with linking to /etc/systemd/system/default.target. Please make sure you have already install Gnome GUI before you proceed to change runlevel. 14 loaded units listed. Pass --all to see loaded but inactive units, too. 6. Reboot the server to login to GNOME gui. Webmin is a web-based free software that is created for the administration of the system for linux and unix . It is managed through the graphical web interface that is very user friendly and suitable for beginners who are less familiar with linux command line utility. However, a recent version can also be installed and running on the Windows operating system. Webmin can be managed using a modern web browser like google chrome, mozilla firefox and internet explorer. If you are a website operator or system administrator of the virtual private server (VPS) or dedicated server, it is appropriate to use webmin as a platform to manage the system, it will make your life easier. With webmin, system administrators can perform system administration and configuration task of such a setup user accounts, Apache configuration, DNS management, MySQL database administration, file sharing administration and more. As a reference, I have document the steps of how to setup Webmin 1.720 on CentOS 6/RHEL 6 using source instalation. The directory in which all Webmin configuration information is stored. This is now separate from the Webmin install directory, so that configurations are saved when you upgrade. If you have previously installed Webmin and use the same config directory, this will be the only question asked. The location for pid and webserver log files. In Webmin versions 0.990 and above, this question is only asked if your operating system cannot be automatically determined. The setup script will display a list of supported systems. If your OS is not on the list, you can try choosing the closest match. However this may not work properly, and may even cause serious problems! The TCP port that the Webmin web server will listen on. The login name and password used to acess the Webmin web server. The hostname of the machine on which Webmin will run. This question will only be asked if your system has the Perl SSL libraries installed. See below for more.. If your OS is supported, Webmin will ask if you want to have it automatically started at boot time. Assuming you answer all the above questions correctly, the Webmin web server will be started and the setup script will give you the URL to go to. Enter this URL into your browser, and you will be prompted for the login and password that you choose in setup.sh. Once you have logged in your browser should show the main Webmin page, on which is an icon for each module you have installed. Typically you can connect to Webmin at http://localhost:10000/. Or if accessing it remotely, replace localhost with your system's IP address. The Perl SSLeay library is not installed. SSL not available. Copying files to /software/webmin ..
Subroutine setup_ca redefined at /software/webmin/webmin/webmin-lib.pl line 77. Subroutine install_webmin_module redefined at /software/webmin/webmin/webmin-lib.pl line 127. Subroutine grant_user_module redefined at /software/webmin/webmin/webmin-lib.pl line 439. Subroutine delete_webmin_module redefined at /software/webmin/webmin/webmin-lib.pl line 480. Subroutine file_basename redefined at /software/webmin/webmin/webmin-lib.pl line 589. Subroutine gnupg_setup redefined at /software/webmin/webmin/webmin-lib.pl line 603. Subroutine list_standard_modules redefined at /software/webmin/webmin/webmin-lib.pl line 631. Subroutine standard_chooser_button redefined at /software/webmin/webmin/webmin-lib.pl line 663. Subroutine list_third_modules redefined at /software/webmin/webmin/webmin-lib.pl line 676. Subroutine third_chooser_button redefined at /software/webmin/webmin/webmin-lib.pl line 708. Subroutine get_webmin_base_version redefined at /software/webmin/webmin/webmin-lib.pl line 719. Subroutine base_version redefined at /software/webmin/webmin/webmin-lib.pl line 729. Subroutine get_newmodule_users redefined at /software/webmin/webmin/webmin-lib.pl line 740. Subroutine save_newmodule_users redefined at /software/webmin/webmin/webmin-lib.pl line 762. Subroutine get_miniserv_sockets redefined at /software/webmin/webmin/webmin-lib.pl line 786. Subroutine fetch_updates redefined at /software/webmin/webmin/webmin-lib.pl line 834. Subroutine check_update_signature redefined at /software/webmin/webmin/webmin-lib.pl line 901. Subroutine find_cron_job redefined at /software/webmin/webmin/webmin-lib.pl line 932. Subroutine get_ipkeys redefined at /software/webmin/webmin/webmin-lib.pl line 944. Subroutine save_ipkeys redefined at /software/webmin/webmin/webmin-lib.pl line 965. Subroutine validate_key_cert redefined at /software/webmin/webmin/webmin-lib.pl line 997. Subroutine detect_operating_system redefined at /software/webmin/webmin/webmin-lib.pl line 1018. Subroutine show_webmin_notifications redefined at /software/webmin/webmin/webmin-lib.pl line 1053. Subroutine get_webmin_notifications redefined at /software/webmin/webmin/webmin-lib.pl line 1069. Subroutine get_system_uptime redefined at /software/webmin/webmin/webmin-lib.pl line 1271. Subroutine list_operating_systems redefined at /software/webmin/webmin/webmin-lib.pl line 1318. Subroutine shared_root_directory redefined at /software/webmin/webmin/webmin-lib.pl line 1343. Subroutine submit_os_info redefined at /software/webmin/webmin/webmin-lib.pl line 1380. Subroutine get_webmin_id redefined at /software/webmin/webmin/webmin-lib.pl line 1408. Subroutine ip_match redefined at /software/webmin/webmin/webmin-lib.pl line 1424. Subroutine prefix_to_mask redefined at /software/webmin/webmin/webmin-lib.pl line 1519. Subroutine valid_allow redefined at /software/webmin/webmin/webmin-lib.pl line 1533. Subroutine get_preloads redefined at /software/webmin/webmin/webmin-lib.pl line 1591. Subroutine save_preloads redefined at /software/webmin/webmin/webmin-lib.pl line 1603. Subroutine get_tempdirs redefined at /software/webmin/webmin/webmin-lib.pl line 1614. Subroutine save_tempdirs redefined at /software/webmin/webmin/webmin-lib.pl line 1631. Subroutine get_module_install_type redefined at /software/webmin/webmin/webmin-lib.pl line 1650. Subroutine get_install_type redefined at /software/webmin/webmin/webmin-lib.pl line 1667. Subroutine list_cached_files redefined at /software/webmin/webmin/webmin-lib.pl line 1697. Subroutine show_restart_page redefined at /software/webmin/webmin/webmin-lib.pl line 1716. Subroutine cert_info redefined at /software/webmin/webmin/webmin-lib.pl line 1734. Subroutine cert_pem_data redefined at /software/webmin/webmin/webmin-lib.pl line 1775. Subroutine cert_pkcs12_data redefined at /software/webmin/webmin/webmin-lib.pl line 1790. Subroutine get_blocked_users_hosts redefined at /software/webmin/webmin/webmin-lib.pl line 1816. Subroutine show_ssl_key_form redefined at /software/webmin/webmin/webmin-lib.pl line 1844. Subroutine parse_ssl_key_form redefined at /software/webmin/webmin/webmin-lib.pl line 1888. Subroutine parse_ssl_csr_form redefined at /software/webmin/webmin/webmin-lib.pl line 1961. Subroutine build_installed_modules redefined at /software/webmin/webmin/webmin-lib.pl line 2035. Subroutine get_latest_webmin_version redefined at /software/webmin/webmin/webmin-lib.pl line 2077. Subroutine filter_updates redefined at /software/webmin/webmin/webmin-lib.pl line 2110. Subroutine get_clone_source redefined at /software/webmin/webmin/webmin-lib.pl line 2152. Subroutine retry_http_download redefined at /software/webmin/webmin/webmin-lib.pl line 2168. Subroutine list_twofactor_providers redefined at /software/webmin/webmin/webmin-lib.pl line 2199. Subroutine show_twofactor_apikey_authy redefined at /software/webmin/webmin/webmin-lib.pl line 2209. Subroutine validate_twofactor_apikey_authy redefined at /software/webmin/webmin/webmin-lib.pl line 2221. Subroutine show_twofactor_form_authy redefined at /software/webmin/webmin/webmin-lib.pl line 2246. Subroutine parse_twofactor_form_authy redefined at /software/webmin/webmin/webmin-lib.pl line 2262. Subroutine enroll_twofactor_authy redefined at /software/webmin/webmin/webmin-lib.pl line 2277. Subroutine validate_twofactor_authy redefined at /software/webmin/webmin/webmin-lib.pl line 2308. Subroutine validate_twofactor_apikey_totp redefined at /software/webmin/webmin/webmin-lib.pl line 2354. Subroutine show_twofactor_form_totp redefined at /software/webmin/webmin/webmin-lib.pl line 2368. Subroutine parse_twofactor_form_totp redefined at /software/webmin/webmin/webmin-lib.pl line 2382. Subroutine generate_base32_secret redefined at /software/webmin/webmin/webmin-lib.pl line 2398. Subroutine enroll_twofactor_totp redefined at /software/webmin/webmin/webmin-lib.pl line 2412. Subroutine message_twofactor_totp redefined at /software/webmin/webmin/webmin-lib.pl line 2421. Subroutine validate_twofactor_totp redefined at /software/webmin/webmin/webmin-lib.pl line 2435. Subroutine canonicalize_ip6 redefined at /software/webmin/webmin/webmin-lib.pl line 2457. Subroutine list_keys redefined at /software/webmin/webmin/gnupg-lib.pl line 23. Subroutine list_keys_sorted redefined at /software/webmin/webmin/gnupg-lib.pl line 74. Subroutine list_secret_keys redefined at /software/webmin/webmin/gnupg-lib.pl line 82. Subroutine key_fingerprint redefined at /software/webmin/webmin/gnupg-lib.pl line 88. Subroutine get_passphrase redefined at /software/webmin/webmin/gnupg-lib.pl line 105. Subroutine put_passphrase redefined at /software/webmin/webmin/gnupg-lib.pl line 116. Subroutine encrypt_data redefined at /software/webmin/webmin/gnupg-lib.pl line 128. Subroutine decrypt_data redefined at /software/webmin/webmin/gnupg-lib.pl line 167. Subroutine sign_data redefined at /software/webmin/webmin/gnupg-lib.pl line 224. Subroutine verify_data redefined at /software/webmin/webmin/gnupg-lib.pl line 283. Subroutine read_entire_file redefined at /software/webmin/webmin/gnupg-lib.pl line 327. Subroutine write_entire_file redefined at /software/webmin/webmin/gnupg-lib.pl line 339. Subroutine get_trust_level redefined at /software/webmin/webmin/gnupg-lib.pl line 349. Subroutine delete_key redefined at /software/webmin/webmin/gnupg-lib.pl line 371. Subroutine default_email_address redefined at /software/webmin/webmin/gnupg-lib.pl line 398. Subroutine fetch_gpg_key redefined at /software/webmin/webmin/gnupg-lib.pl line 415. Subroutine search_gpg_keys redefined at /software/webmin/webmin/gnupg-lib.pl line 442. Use of uninitialized value in -r at /software/webmin/webalizer/webalizer-lib.pl line 16. Enabling background status collection ..
Tmpwatch is tools that recursively removes files which have not been used or accessed for certain period of time. In this post, i will describe how we can automate the clean up process on log directory on linux CentOS 6.6. You can use tmpwatch to safely remove unwanted files for a given time. 2. As example, delete all logs in /var/log/nginx for more than 30d(30 days). 3. Add the tmpwatch into the cronjob so that we can automate the removal process. As example let the removal task start 10PM every night. VMware Tools is one of important components for virtual machine (VM) in order get excellent performance. It is a group of utilities that help to enhances the overall performance of the virtual machine’s guest operating system (OS) and improves management of the VM. Without the VMware Tools, guest OS performance will lacks some of the important functionality. Below steps shows how to install the VMware Tools on RHEL 7, CentOS 7 and Oracle Linux 7. How to Install VMware Tools ? open-vm-tools is an open source implementation of VMware Tools from third parties and contains utilities that enhances virtualization management, administration and functions of the virtual machine in VMware environments. The ultimate goal is to enable the operating system vendors and/or communities and virtual appliance vendors to bundle VMware Tools into their product releases. 2. Attach the vmware tools sofware from vSphere client. Creating a new VMware Tools installer database using the tar4 format. time by invoking the following command: "/usr/bin/vmware-uninstall-tools.pl". Making sure services for VMware Tools are stopped. or package and will not be modified by this installer. installer or package and will not be modified by this installer. Fusion or Workstation virtual environment. Do you wish to enable this feature? 3. Restart your X session. EPEL stand for Extra Packages for Enterprise Linux. EPEL repository is a Fedora Special Interest Group that creates, maintains, and manages a high quality set of additional packages for Enterprise Linux, including, but not limited to, Red Hat Enterprise Linux (RHEL), CentOS and Scientific Linux (SL), Oracle Enterprise Linux(OEL). Remi repository is a yum repository maintained by a French dude – Remi Collet. This post describe the basic steps to prepare and install the additional CentOS packages with EPEL and Remi Repository into CentOS 6. This post will show how to install sendmail smtp service on CentOS 6.5. By default only postfix smtp service included in CentOS 6.5. Due to some reasons you will to run sendmail service instead of postfix. But the purpose of both services still the same providing SMTP email transport service and running as an email relay on your linux system. 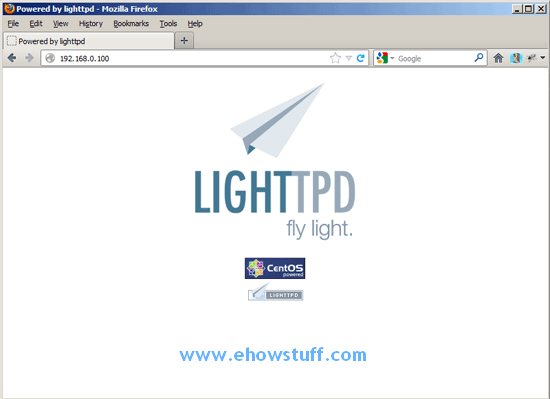 Lighttpd (pronounced “lighty”) is an open-source web server as an alternative to Apache and Nginx. It is a secure, flexible, fast and designed for speed-critical environments. It has a low memory footprint and can handle large number of connections in one server especially for busier sites. PHP is an acronym for “PHP Hypertext Preprocessor”; PHP is a widely-used server-side scripting language executed on the server. MySQL is a popular database solution for use in web applications. This post will show you how to install Lighttpd With PHP5 (PHP-FPM) and MySQL on CentOS 6.5 VPS or dedicated server. 1. EPEL repository is another extra repository that creates, maintains, and manages a high quality set of additional packages for Enterprise Linux, including, but not limited to, Red Hat Enterprise Linux (RHEL) and CentOS server. How to Configure EPEL Repository on CentOS. Browse your page http://IP-Adress/info.php. Thats all. This article has been prepared for the purpose of future reference for system administrator. It will describe how to change 389 ldap password using PHP scripting. In order to use this PHP script, you just need to change few parameters and also tested on CentOS 6.5. 389 LDAP Directory is an enterprise-class Open Source LDAP server for GNU/Linux. It is hardened by real-world use, is full-featured, supports multi-master replication, and already handles many of the largest LDAP deployments in the world.